Book News: Hilary Mantel Gets A Sales Boost After Kate Middleton Controversy : The Two-Way Also: Ron Paul is writing a book; Patricia Cornwell wins a $50.9 million lawsuit; and Kelly Clarkson is not pleased. 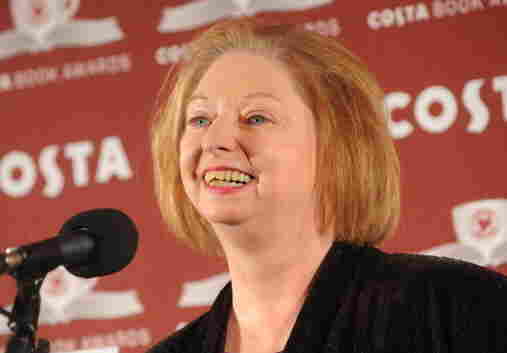 Booker-winning author Hilary Mantel's novels have gotten a sales boost after the firestorm in the U.K. over her comments about Kate Middleton, the Duchess of Cambridge. Mantel said that Middleton is "as painfully thin as anyone could wish, without quirks, without oddities, without the risk of the emergence of character." Media outrage was so severe that even British Prime Minister David Cameron jumped in, saying that although Mantel "writes great books," her remarks were "completely misguided." NPR called it "withering." And the Daily Mail, in characteristically shrill fashion, ran the story on the front page, calling Mantel's essay a "venomous attack." But Mantel's full essay is more nuanced, and some have pointed out that the actual thesis of the piece is that royals should be treated more respectfully by the press. Mantel writes: "I'm not asking for censorship. I'm not asking for pious humbug and smarmy reverence. I'm asking us to back off and not be brutes." Mystery writer Patricia Cornwell won a $50.9 million lawsuit against her former financial managers at Anchin, Block & Anchin LLP. She accused them not only of financial mismanagement, but, more importantly, of traumatizing her dog. Singer Kelly Clarkson isn't pleased by her portrayal in Clive Davis' new memoir, which paints her as emotional and overly dramatic. In a response, Clarkson said that the record producer is "spreading false information," adding that she refuses "to be bullied." Former Rep. Ron Paul, R-Texas, is working on a new book about education, New School Manifesto, that will be published by Grand Central Publishing in September. In light of the controversy over the choice by DC Comics to hire Orson Scott Card, an outspoken opponent of gay rights, to write a Superman story, frequent NPR contributor Glen Weldon looks at LGBT characters in the world of comics. He writes that "today's mainstream superhero comics contain more LGBT characters than ever."